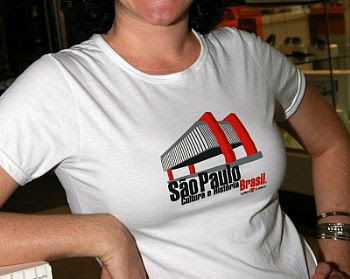 I bought two of these t-shirts last May because I'd like to show Sao Paulo outside Brazil, during my vacations in the US. The fabric is nice and they even offer some t-shirts made by recycled PET. Another place that used to sell t-shirts with Sao Paulo landscapes was Arte na Rua, with stores in a lot of malls here in the city. Hi Marcelo! Thanks for the advice. I'll get some information to prepare a post about Arte na Rua. If you or anyone else have something to say about this city, let me know so I can publish over here. Regards.